My team and I have worked hard to develop the trust and following of a very loyal family of patients. As a result, our workdays feel more like time spent with family and friends. We have trained to provide high-level care for our patients, and we take great pride and satisfaction in knowing that we make a healthier difference in their lives. I am proud that my team knows how to make our guests comfortable and happy, and that we work together to make our patients our top priority. The majority of our team has been with the practice for more than ten years. I was born in Pittsburgh, Pennsylvania, and grew up in Bradenton. I graduated from undergraduate school at Huntingdon College in Montgomery, Alabama, where, as part of a pre-dental/medical degree, I majored in chemistry, biology, math, and physics, while playing intercollegiate basketball for two years. I attended graduate school at Florida State University and graduated from the University of Florida College of Dentistry in 1979. I have since practiced family-oriented and cosmetic general dentistry in the Longwood/Sweetwater/Wekiva/Altamonte Springs area. I am currently a member of the Dental Society of Greater Orlando, the Florida Dental Association, the American Dental Association, and the Pierre Fauchard Academy, and have attended more than one hundred hours of continuing education each year. It has been my honor to be awarded Rotary International’s highest honor as a Paul Harris Fellow, as well as being selected as one of “The Best Dentists in America” for 2003-2005 and Orlando Magazine’s “Top Dentists” list for 2011-17. Over past 35 years or so, I been active as an elder in the Markham Woods Presbyterian Church and the First Presbyterian Church of Orlando, a coach for the Seminole Soccer Club and the Sunshine Basketball Association, a member of the South Seminole Rotary Club, and a member of the board of directors for the Dental Society of Greater Orlando. Subsequently, I was the president of the Dental Society of Greater Orlando from 1994-95, chairman of Children’s Dental Health for the Dental Society, a delegate to the Florida Dental Association, and on the council of Governmental Affairs. After dental school, I was named a Florida Board of Dentistry State Dental Board examiner. I have served on the advisory board of directors of the Southern Bank of Central Florida, the Southern Community Bank of Central Florida, and Orange Bank of Florida, as well as being a member of the board of directors for Orange Bank of Florida from 2011-16. I have been a member of the planning and zoning board for the City of Lake Mary since 1991, serving as its chairman since 2000. Previously, I was president of the Cardinal Oaks Cove Homeowners and the Crimewatch from 1987-97, as well as serving on the citizens search committee to choose a superintendent of schools for Seminole County in 1991-92. 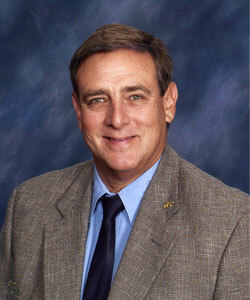 I was vice chairmen for the City of Lake Mary charter (constitution) review committee in 2011. One of my great pleasures has been my role as an advisory board member for more than 25 years to the Orlando Tech Dental Assistants School, where I’ve help to teach and mentor young dental assisting students. I have lived in Lake Mary with my wife Debbie since 1979. Our children, Jason and Jaime, are both married and live in central Florida. When I’m not at the office, I enjoy vegetable gardening, sitting on the beach, basketball, snow skiing, fishing, the Orlando Magic, and the Florida Gators! Most of all, I enjoy being a grandfather to three grandsons! I have also recently been named to the Florida Society of the Sons of the American Revolution, of which I am very proud.